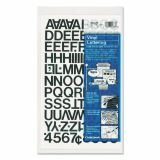 Chartpak Press-On Vinyl Letters & Numbers, Self Adhesive, Black, 3/4"h, 94/Pack - Easily apply these vinyl numbers and letters to clean dry surfaces, indoors and outdoors. Ideal for displays, signs, posters and equipment identification. 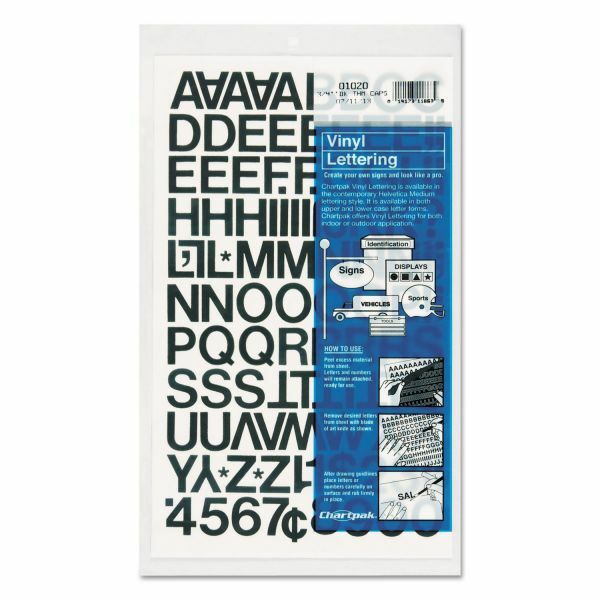 Helvetica style letters and numbers have self-adhesive backings.